An obligatory read for those who wish to understand why and how the state of Israel got entangled in Lebanon. This book was written by a member of the Israeli Intelligence Service and former Mossad agent, Yair Ravid (Ravitch), who was in charge of establishing Israel’s connections with South Lebanon and the Christian Phalanges in Beirut in 1976. It describes and analyzes the thought patterns that governed those who initiated contacts and the relationship with South Lebanon, as well as the reasons leading them to deviate from the original intentions, thus sinking Israel in the Lebanese swamp. The author describes things as they were, without embellishing or beautifying reality. The second part of the book comprises a variety of stories about the experiences of an Israeli Intelligence officer, told with wit and humor. Yair Ravid, known in the intelligence community and in Lebanon as “Abu Daoud,” sets out before us in his personal and authentic story, a turbulent and fascinating period in Israel’s relations with the Christians in Lebanon. A relationship that began in the 1970s with the Christian villages in South Lebanon designed to counterbalance the presence of the Palestinian military forces, continuing with an alliance with the Christians in the north formed before and during the First Lebanon War, ending with the hasty withdrawal of the IDF from Lebanon under pressure of Hezbollah attacks. 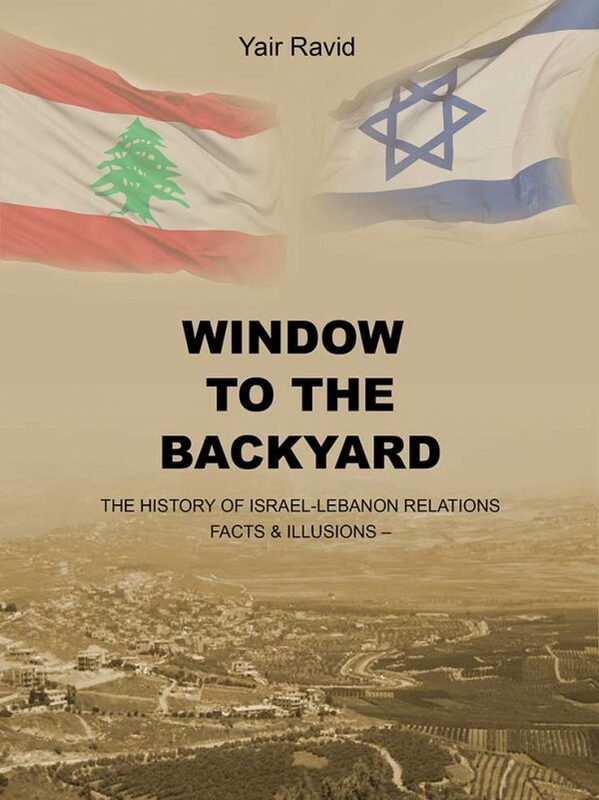 The book reveals once again – this time from someone of esteemed authority who is well versed in the Lebanese language and mentality – Israel’s political and military folly, led by Defense Minister Sharon, in an attempt to impose a new order in Lebanon, without understanding and internalizing the fragile ethnic tapestry in the country, and the fact that the Christians were a broken reed. Between the lines we can hear severe criticism of the conduct of the IDF Intelligence and the Mossad, never discussed or studied in depth to this date. Conduct leading to the sinking in the Lebanese quagmire, some of which was not in keeping with the code of ethics and professional standards. Yair, who was my commander in the Mossad, is an excellent Arabist with a thorough understanding of Lebanese culture and history. He also has strong analytical abilities and a keen sense of criticism. Through his personal story he offers us a rare glimpse behind the scenes of the intelligence campaign which took place in Lebanon. Yair Ravid (Ravitch) was wounded during his military service. Despite his disability he completed his officers’ course with distinction and continued his service in the standing army in the IDF Intelligence Corps. He served in numerous positions in the field of recruitment and operation of agents in Arab countries. In 1976, in his capacity as commander of the Northern Region of Unit 504, he was responsible for establishing the contacts with the people of South Lebanon; contacts which later lead to the establishment of the South Lebanon Army. He was also responsible for forming the relationship with the Phalanges in Beirut, which was later transferred to the responsibility of the Mossad. He himself transferred to the Mossad and filled several command positions in the organization’s stations in Europe. In 1982 he was appointed commander of the Mossad’s operational station in Beirut, a position he held for three years.